WASHINGTON—Recently released mortgage finance activity data released by the Mortgage Bankers Association indicate mixed results during the month of April. The Mortgage Bankers Association Builder Applications Survey data for April 2018 released on May 10 showed mortgage applications for new home purchases increased 7.5% compared to April 2017. Compared to March 2018, applications decreased by 5%. This change does not include any adjustment for typical seasonal patterns. By product type, conventional loans comprised 71.6% of loan applications, FHA loans comprised 15.1%, RHS/USDA loans comprised 1.2% and VA loans comprised 12.1%. The average loan size of new homes decreased from $337,597 in March to $336,870 in April. The MBA estimates new single-family home sales were running at a seasonally adjusted annual rate of 656,000 units in April 2018, based on data from the BAS. The new home sales estimate is derived using mortgage application information from the BAS, as well as assumptions regarding market coverage and other factors. The seasonally adjusted estimate for April is a decrease of 3.8% from the March pace of 682,000 units. On an unadjusted basis, the MBA estimates that there were 63,000 new home sales in April 2018, a decrease of 3.1% from 65,000 new home sales in March. 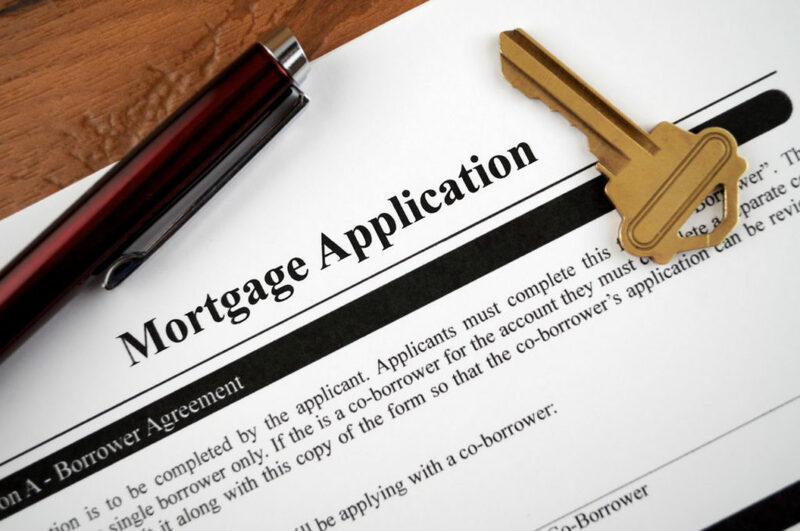 On May 9, the MBA reported that mortgage applications decreased 0.4% from one week earlier, according to data from its weekly mortgage applications survey for the week ending May 4, 2018. The Market Composite Index, a measure of mortgage loan application volume, decreased 0.4% on a seasonally adjusted basis from one week earlier. On an unadjusted basis, the index remained unchanged from the previous week. The Refinance Index decreased 1% from the previous week to its lowest level since October 2008. The seasonally adjusted Purchase Index decreased 0.2% from one week earlier. The unadjusted Purchase Index increased 0.4% compared with the previous week and was 3% higher than the same week one year ago. The refinance share of mortgage activity decreased to 36.3% of total applications, its lowest level since September 2008, from 36.5% the previous week. The adjustable-rate mortgage (ARM) share of activity decreased to 6.5% of total applications. The FHA share of total applications decreased to 10.1% from 10.3% the week prior. The VA share of total applications increased to 10.4% from 10.2% the week prior. The USDA share of total applications decreased to 0.7% from 0.8% the week prior. The average contract interest rate for 30-year fixed-rate mortgages with conforming loan balances ($453,100 or less) decreased to 4.78% from 4.80%, with points decreasing to 0.50 from 0.53 (including the origination fee) for 80% loan-to-value ratio (LTV) loans. The effective rate decreased from last week. The average contract interest rate for 30-year fixed-rate mortgages with jumbo loan balances (greater than $453,100) decreased to 4.65% from 4.69%, with points decreasing to 0.36 from 0.42 (including the origination fee) for 80% LTV loans. The effective rate decreased from last week. The average contract interest rate for 30-year fixed-rate mortgages backed by the FHA decreased to 4.80% from 4.81%, with points decreasing to 0.75 from 0.78 (including the origination fee) for 80% LTV loans. The effective rate decreased from last week. The average contract interest rate for 15-year fixed-rate mortgages decreased to 4.20% from 4.21%, with points decreasing to 0.48 from 0.49 (including the origination fee) for 80% LTV loans. The effective rate decreased from last week. The average contract interest rate for 5/1 ARMs decreased to 4.00% from 4.03%, with points decreasing to 0.43 from 0.44 (including the origination fee) for 80% LTV loans.